Fans of The Purge movie franchise may be surprised by the first story details revealed for the upcoming TV series iteration. Following the release of three films in the horror/thriller franchise (all of them written and directed by James DeMonaco), things are heating up as development continues on Blumhouse Productions' The Purge TV series - a TV show that DeMonaco is also writing, directing and executive producing. As Blumhouse continues to develop its very own television studio in the form of Blumhouse Television (via its newly-established partnership with ITV), more original content like The Purge television series from the ever ubiquitous production company is inevitably in the offing. But before any future projects are settled upon, DeMonaco and his collaborator are working out a unique feel and tone for the small screen version of The Purge universe - and the latest word has the series aiming to take place on a date other than the holiday of mayhem and terror, known as Purge Night. "It will reveal to the fans what happens the other 364 days of the year and how that law affects people." Given the fact that the most recent entry in the Purge movie franchise - last year's The Purge: Election Year - is currently the highest-grossing installment in the series thus far, it's doubly interesting to hear that The Purge will tackle a different angle from its big screen contemporaries on the small screen. While many viewers no doubt flock to theaters to see The Purge's brand of violence and mayhem, DeMonaco's upcoming TV series will chart a decidedly different path. Only time will tell whether or not things pan out favorably for all parties involved in the making of The Purge on TV, but with any luck Blum and DeMonaco will manage to deliver something that - along with The Purge 4 (currently scheduled to arrive in 2018) - will appease die-hard fans of the larger property. In the meantime, here's to hoping for the very best as things continue to develop behind the scenes. 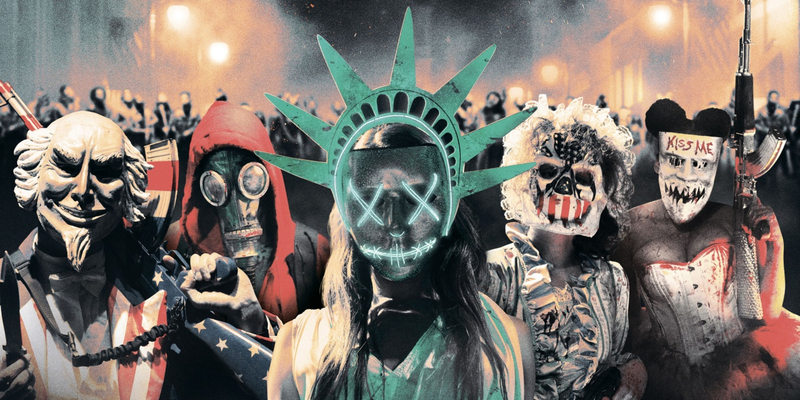 Screen Rant will keep you updated with any information related to The Purge TV series.